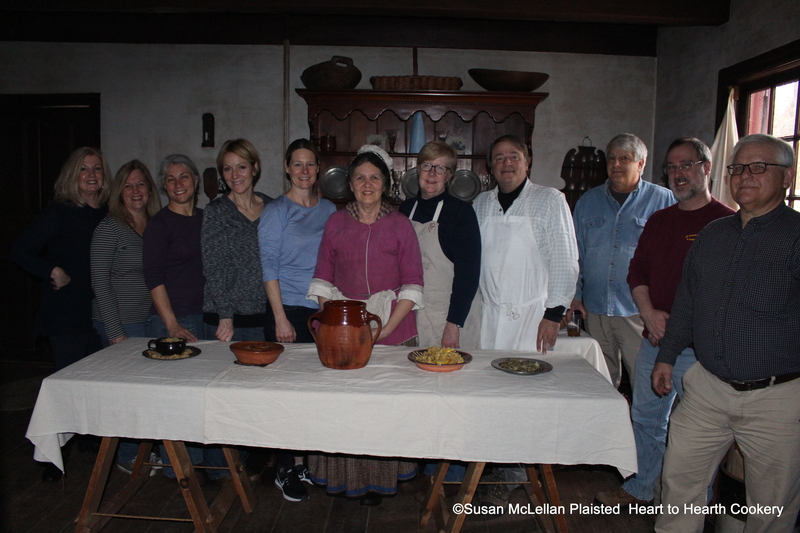 When I was planning my January 14th, 2017 Winter Hearth Cooking Class at the Johnson Ferry House, thoughts of the diversity of people that make America a strong country were in my mind. The bill of fare was Gumbis (Pennsylvania German), To make a Hutspot from a Capon (Dutch), Jerusalem Artichoke receipt (French), and Apple Pasties to Fry and To make a Quince Pudding (English). Pictured is the wonderful class that produced and enjoyed this dinner of diversity.